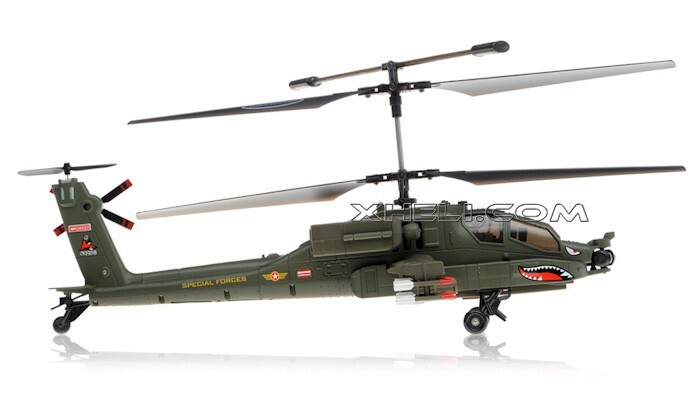 This Apache Shape RC military helicopter is ready-to-fly straight out of the box. 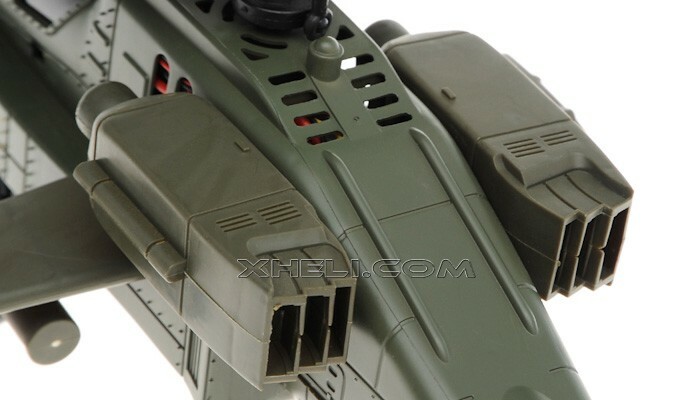 It's constructed from hi-tech soft plastic, which makes it durable and solid. Thanks to its ingenious flight stability system, you won't believe the extreme maneuverability and how easy it is to fly. 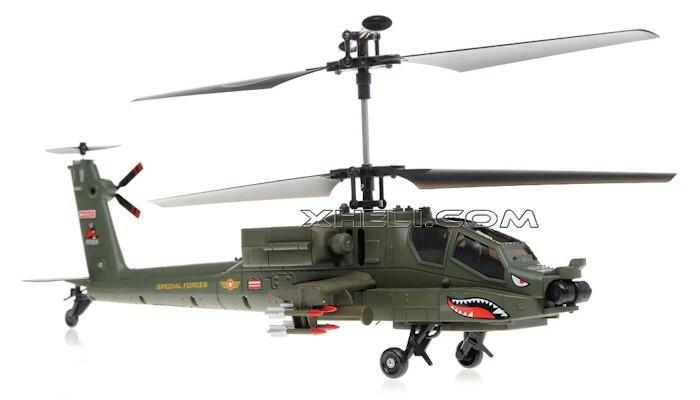 RC military helicopter also comes with dual fan-style blades which allow for forward and backward movement, and they make turning left and right easier and more controllable than ever before. 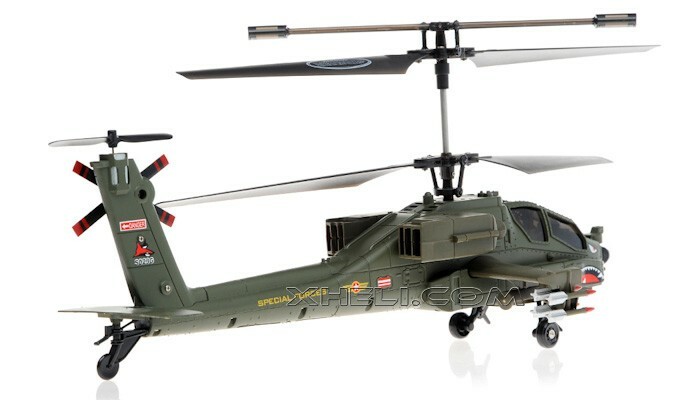 Every time you charge the helicopter, you'll have 10-15 full minutes of flight time fun. 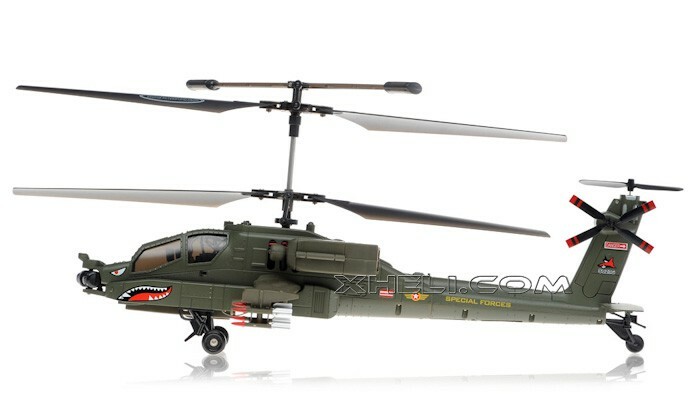 This big helicopter includes a 4-in-1 controller (Gyro + ESC + Mixer + Receiver). This makes the helicopter have outstanding performance in hovering. 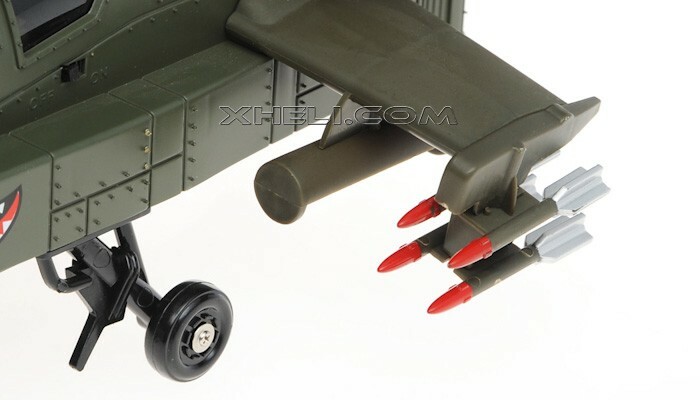 It is not an usual toy that it can fly smoothly and have a very detailed body frame. 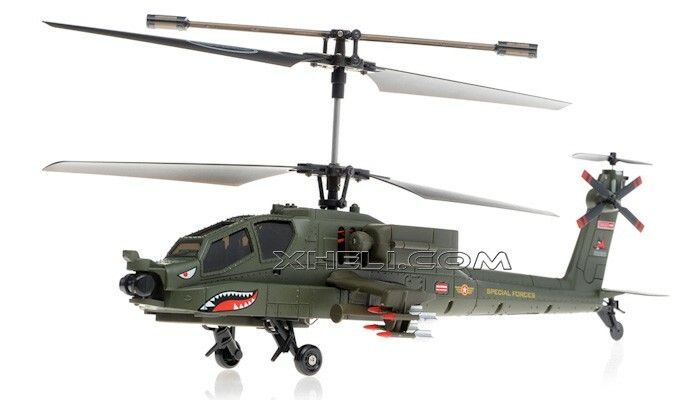 Looks very alike the Military Helicopter Apache. 3 Channels for flying it, able to move in 6 Directions. 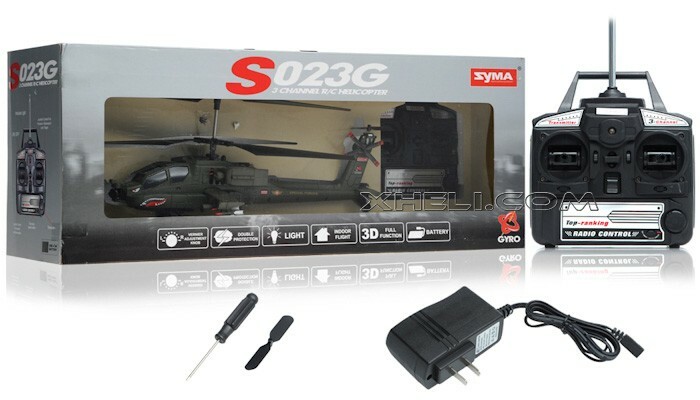 In addition, SYMA S023G RC military helicopter is also accompanied by a shining flashlight for added excitement. 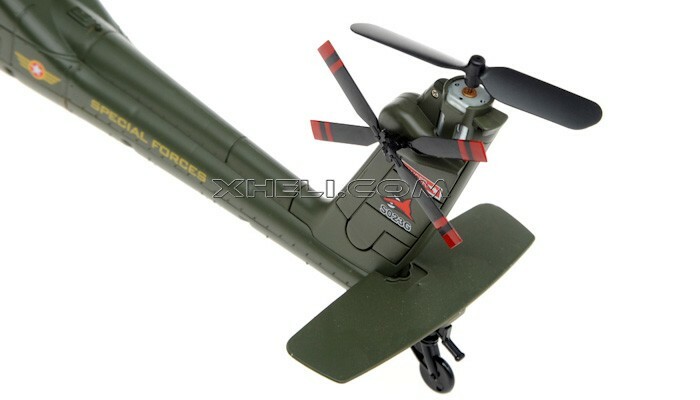 The undercarriage with three style wheel design will add to the enjoyment of flying this superb electric helicopter. We believe it is not only a great choice for the beginner but also great fun for the experienced flyer. 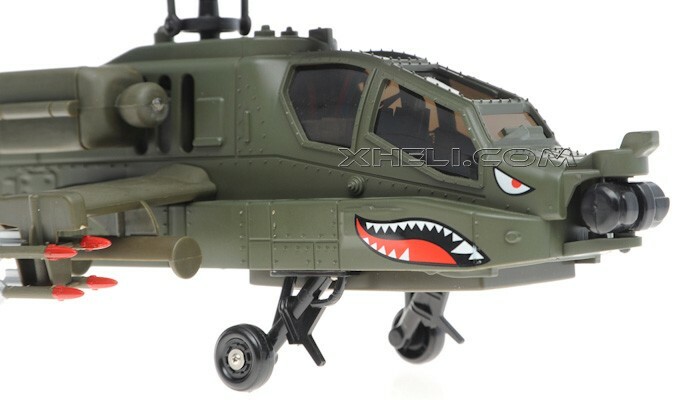 RC military helicopter will bring endless enjoyment to you and your friends. Let's enjoy the fun flying beyond your dreams. The charger plug is US Plug type, you can choose a suitable adapter for your country at the option.